The skin is the body’s largest organ; an average person’s skin weighs 4 kgs and covers an area of 22 sq feet. The skin perform many functions like- protection against chemicals, radiation, microbes etc; preserving a balanced internal environment by keeping us warm, preventing us from drying out; and the sensation. In today busy life skin problems are more common because skin comes in contact with the infections or irritants. These skin complaints deserve medical attention, but that most of us preferring to treat them ourselves. 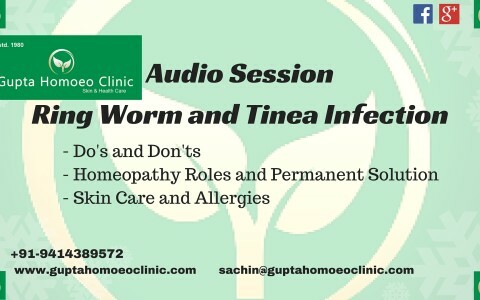 Skin problems are among the commonest reasons for which people, especially children, seek homeopathic treatment for skin diseases. 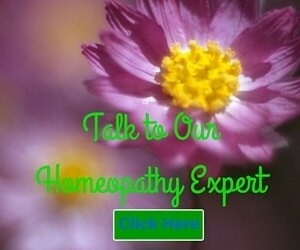 In Homeopathy illnesses are seen as disturbances that occur in body and treated as a whole body is to be treated and not only the symptoms. – Melasma, Blemishes or Pigmentation etc. 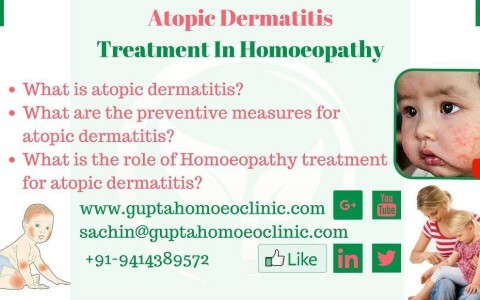 Atopic dermatitis is a type of chronic eczematous skin disease which is very common in children but may occur at any age. Treatment of atopic eczema may be required for many months and possibly years. But we can prevent or control an eczematous skin by following these measures. Ringworm is a skin disease caused by the fungus in the skin of humans and animals both. It is also known as Dematopytosis. It is characterized by ring shaped, red, itchy, scaly, small blisters, raised patches having defined edges. The terms eczema and Dermatitis are used synonymously. 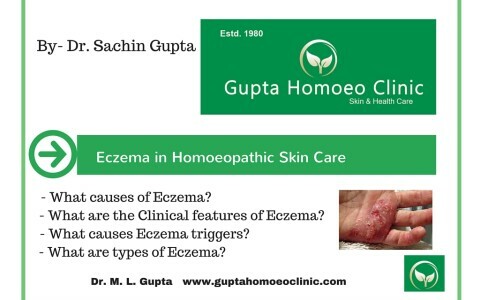 Eczema is defined as an acute, sub acute or chronic, non-contagious inflammation of the skin characterized by dryness, redness, itching, swelling, scaling, oozing, crusting, blistering and thickening of skin. It is a non-contagious disease. 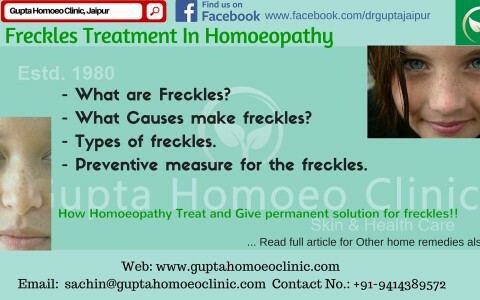 Freckles are usually are flat small tan or light-brown spots on exposed skin. Theses may be round, oval or irregular in shape. These are common in people of fair complexion mainly at cheeks, nose, arms, and upper shoulders. 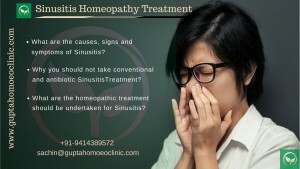 Gupta Homoeo Clinic providing homoeopathic services since 1980's. 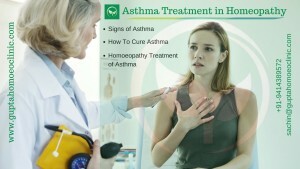 Dr. M. L. Gupta is a renowned Homoeopath in Jaipur, Rajasthan. Disclaimer *Please note that results and duration of treatment may vary depending on the constitution of your body.